Style meets comfort meets affordability. Living down South, I’ve never really gotten to experience the transition from summer to fall in person. Still, I’m enamored with the idea of it—red and yellow maple leaves twirling in the wind, tartan patterns following me everywhere I go, and shearling boots replacing flats and sandals. Though my fall will consist of evergreen trees and a sunny climate, I find that online shopping is just enough to satisfy my seasonal longings. So, today, I take a moment to share with you some finds I’ve collected (all under $100) that make me think of the wondrous autumn. Keep reading for some fabulous fall finds! 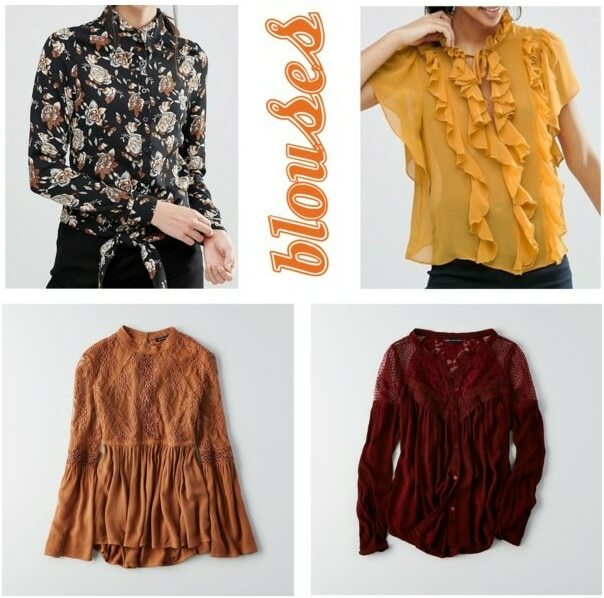 Where would we all be without some festive fall blouses in our closets? Imitate the dark and colorful foliage surrounding you by dressing up in floral patterns, bright yellow, variations of tan, and deep reds. Don’t forget to buy these shirts long-sleeved (baby, it’s cold outside), and to wrap up warm with some additional warm-toned scarves for those chilly nights out on the town! 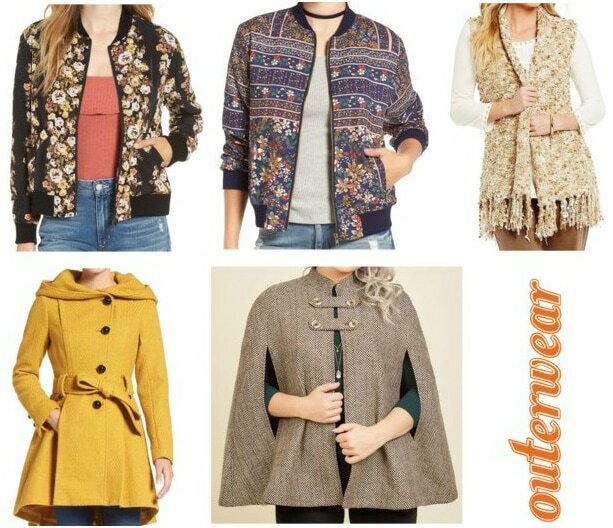 From bold bomber jackets to cozy sweater vests and billowing capes, we’re living in a world full of chic outerwear! To best pick up on that legendary fall look, invest in some of the following: floral print motifs, (slight) fringe detailing, bright colors, and fashionably oversized coats. Oftentimes colder weather will force you to button/zip up whatever you’re wearing as your outermost layer, therefore it’s vital that you rock something that’s interesting enough on its own! When you’re looking for an elegant accentuating piece in your outfit, come in clutch with a proper fall bag! Great for storing dark lipstick and Starbucks coupons (PSL, anyone? 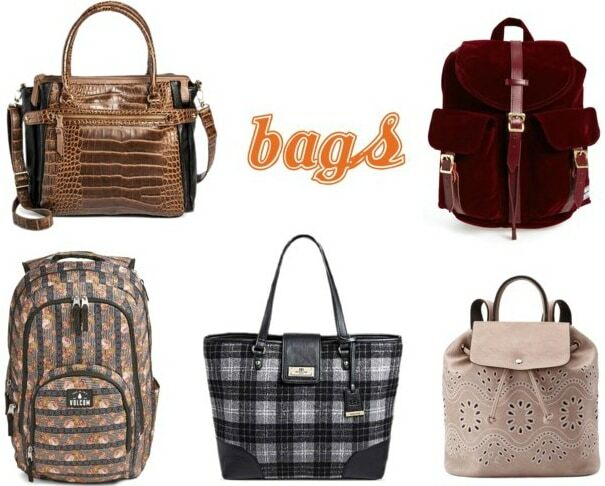 ), each bag featured above has plenty of space available for your day-to-day necessities. They also all pay homage to a specific fall trend, from plaid patterns and strong, woodsy vibes to the aforementioned dark florals and richly deep reds. It’s almost like peeking into a style-based forest! It’s hard to display personal style amidst bulky coats and swaddled-up bodies without the right accessories. Focusing on large hair accessories because they’re the most noticeable from afar, the style forecast for this fall calls for heavy knit headwraps all around. 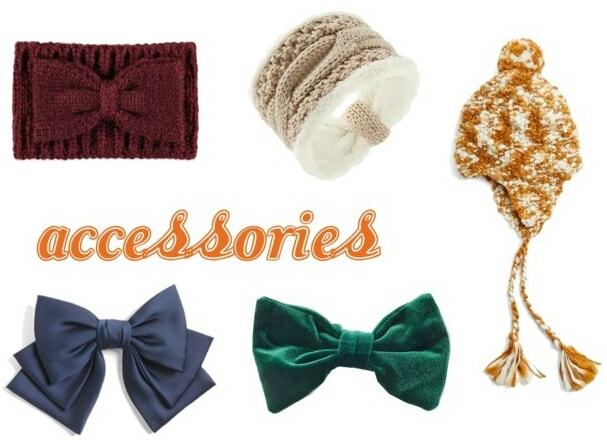 If it’s not cold enough yet (or is simply inconvenient) to wear hats all the time, settle for some snug headwraps or satin/velvet bows. Buy them in shades that resemble the falling autumn leaves to get into that magnificent seasonal spirit! Is fall your favorite season to dress up for too? 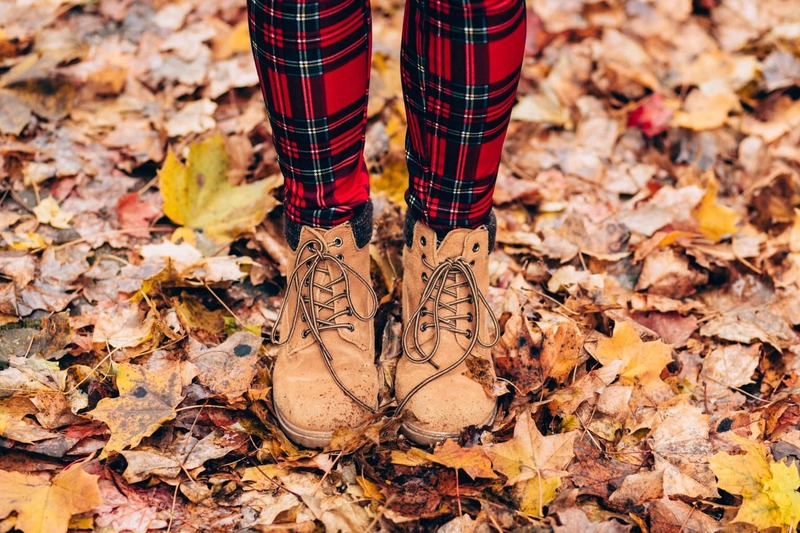 What’s your favorite autumn fashion trend? Would you like to see other subjects featured on College Fashion? Feel free to comment down below!